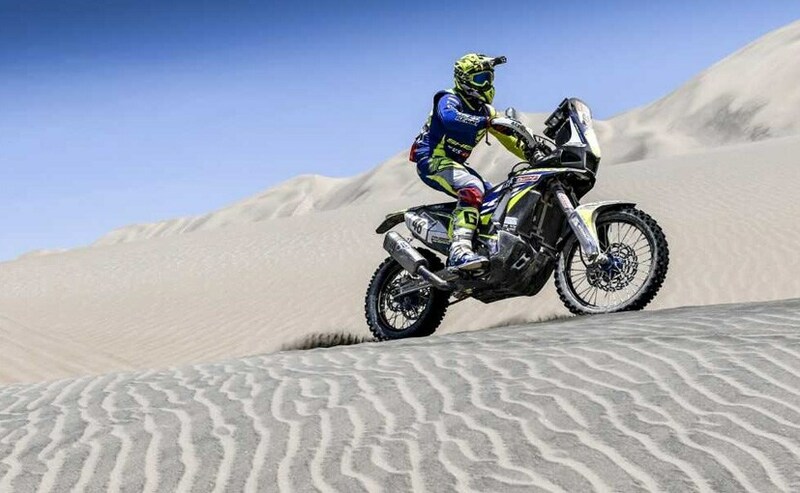 The 2019 Dakar Rally Stage 8 has Hero's Oriol Mena in the lead finishing 10th in the overall standings, while Sherco TVS rider Aravind KP has been making steady progress as he breaks into top 40. The 2019 Dakar Rally is heading towards the final stages and the Indian teams have certainly put their best foot forward over the past days. 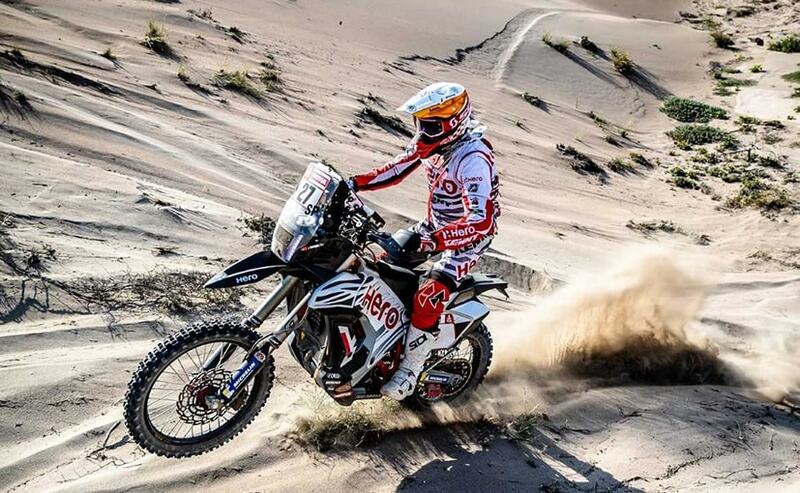 Stage 8 saw competitors battle a day of fog, dust and dunes as they made their way from San Juan de Marcona to Pisco. Hero MotoSports Team Rally's Oriol Mena finished the day with an impressive 12th position, and broke into an into the top 10 in overall standings. Mena has been flawless through the stages and despite facing a setback in Stage 5 after a crash, the rider has had a brilliant run to make up for lost time. Speaking on his performance, Oriol Mena said, "When I started today, it looked like a difficult and dangerous stage so I decided to ride safe and steady with no crashes or mistakes. The Stage terrain was completely damaged due to the previous stage tracks and mixed start. So I focussed on my rhythm and rode more like an endure race with good speed and flow. I am really happy to be across the finish line today and now only 2 more days to go!" Teammate Joaquim Rodrigues has been putting some incredible times over the past stages and Stage 8 was no different with the rider finishing in 13th place. Rodrigues is now placed 18th in the overall rankings, despite having hurt his bike while handling the fast stage during the day. Finishing against all odds, Rodriguess said, "Today was a really difficult with lot of fog in the mountain and lot of fesh-fesh with rocks making it extremely dangerous to push ahead. I encountered dangerous large hole in the track, which wasn't mentioned in the road-book. I hit the hole really hard and hurt my back. I am a little bit in pain but happy to finish the line and we see how it goes tomorrow." 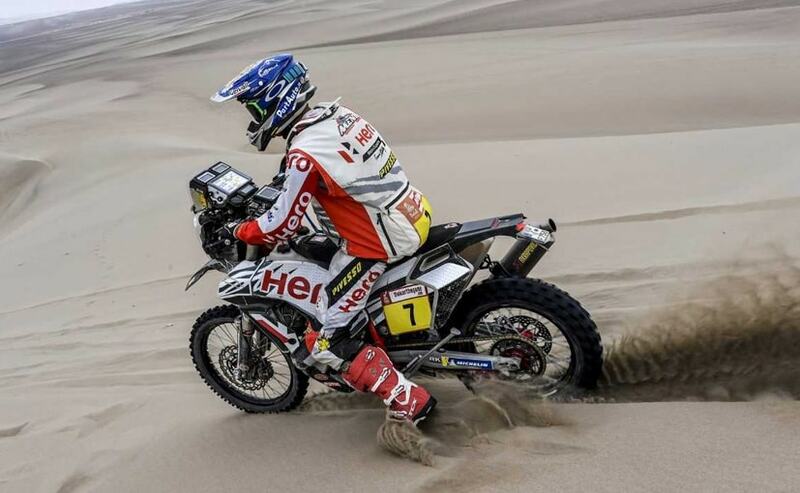 Stage 8 was another fast stage in the 2019 Dakar Rally and the foggy conditions made it difficult for the riders to start in the morning. Being the Super Ica stage, it saw the fastest 10 competitors from each of the categories - Moto, cars, quads and trucks start together one after another. The dust from the lead made it difficult for the other riders to keep over the 207 km liaison followed by the 360 km special section, the longest of the rally this year. At Sherco TVS, the riders showed incredible performance through the day facing the same conditions. Adrien Metge was the fastest rider at Sherco finishing the stage in 8th place, despite a minor wrist injury. The rider now sits 26th in overall rankings. Michael Metge too had an impressive run despite the weather conditions and finished the stage in 10th place, and is placed 24th in overall standings. Commenting on the stage, Michael Metge says, "It was a challenging stage with the bad weather and order of vehicles at the start point. As the rally moves closer to the end, I feel the urge to make up for the time lost in the initial stages and record my best timings once we reach Lima at the end of the rally." 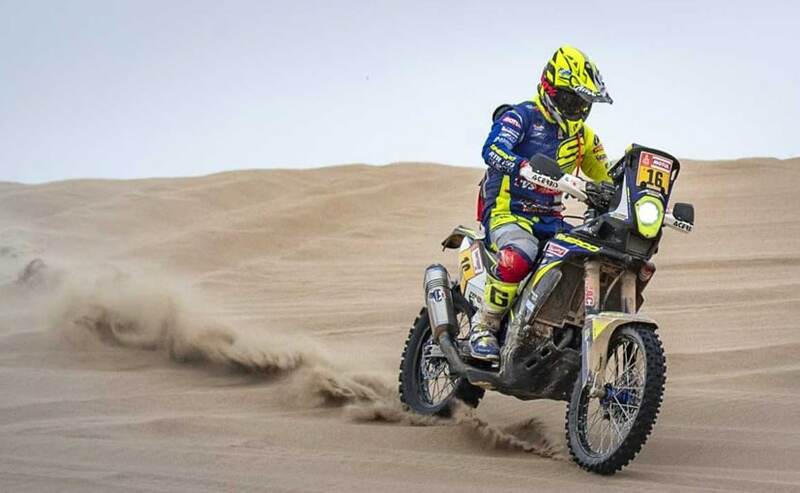 Aravind KP has has been one of the most steady performers of this season at Dakar and finished the stage in 39th position at the end of the day. The rider has climbed up to eight positions over Stage 7 in the overall rankings and is placed at 39th overall. Speaking on his progress, Aravind KP said, "The low visibility at the start was a concern for me and I didn't take any chances. I really enjoyed my ride once I hit the dunes and managed to improve my rankings. It was a very long stage and I am happy to have completed it." Stage 9 is the penultimate stage of the 2019 Dakar Rally and will see the riders start from Pisco for a 313 km loop of special section, before moving to Lima for the grand finale.